I don’t often publish reviews but I’m making an exception here. In track planning books, it’s rare that the plans can be built as presented, because it’s highly unlikely that the reader’s space for a model railway will correspond exactly to the spaces used by the plans the layout designer presents. So, these books should really be judged on their value as inspiration for a modeler to design a layout for their own space. At the same time, the plans presented should be grounded in reality – they should have realistic curve radii and turnout sizes for the scale and types of equipment to be run, adequate space for structures and scenes, excellent access to all track, aisles that are wide enough to make building and operating the layout comfortable, and so on. These 45 plans – never before published – present many great ideas, from small shelf layouts to empires that will fill a large basement or special purpose building. There are also some plans designed to take advantage of popular modular standards, or to be exhibited as self-contained layouts. Truly, there’s something for everyone between the covers. The above represent my favourites in the book, because I think they’re all highly achievable layouts. Some are simple shelf switchers, while others fill a modest room. Some of my favourites would be even better than they already are if they’re built as-is, but in one scale down. For example, the O scale West Bottoms layout (plan 17) is a 10×20-foot U-shaped layout that features 48″ radius curves and #5 turnouts. If one were to do it in S scale (or even HO) on the same benchwork, those 48″ radius curves would look spectacular and the builder could bump up the turnout sizes to a more prototypical #7. At the same time, the structures would be that much more impressive (and could even be slightly smaller, to provide more open space between each). Car capacity would increase, without the need for additional trackage. And so on. Each plan is accompanied by a photo or two of the prototype (or prototype inspiration) and a description – about a page worth – that provides some background and highlights the key features of the plan. The plans are nicely rendered and the text is very readable – and provides just enough information to start the reader on a Google-powered adventure to find out more about the plans that most inspire him or her. I particularly like Bernie’s introduction – and recommend that every buyer read it. In about a page, Bernie details his criteria for drawing plans, and they’re good concepts for anyone to adopt when designing their own model railway. Those who do will find their layout gives them maximum pleasure and minimum frustration. I also appreciate that Bernie has presented a set of plans that cover a wide spectrum of interests. 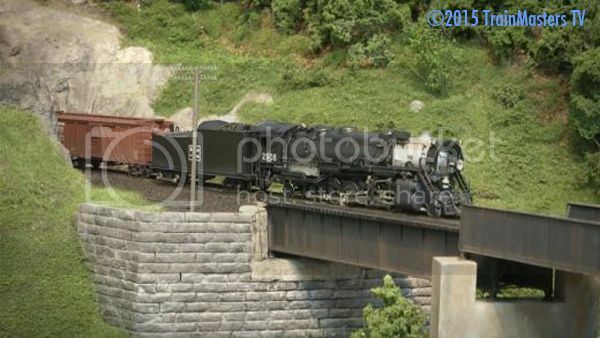 – As one would expect, there are many examples of traditional steam/diesel transition era railroading, as well as modern railroading. But there are a number of plans based around less-modelled eras, dating back almost to the beginning of railroading. – What’s more, while most of the plans are of North American themes, there are plans based on prototypes in the UK, Iran, France, Peru – and even on Mars. (This last, while futuristic, is not fanciful: as Bernie notes, it’s based on the ideas presented by Robert Zubrin in the book, The Case For Mars. And Bernie’s timing could not be better, with the book’s publication taking place just ahead of Hollywood’s release of The Martian). – And finally, Bernie has explored a range of scales – including N, HO, S and O, in standard and narrow gauge formats. There are many track plan collections that feature layouts that would frustrate anyone who attempts to build them, or result in an unrealistic layout that’s not very far from “toy train under the tree” status. Some designers are notorious for this. Readers of this book will not have that problem. All designs have been created with construction in mind. 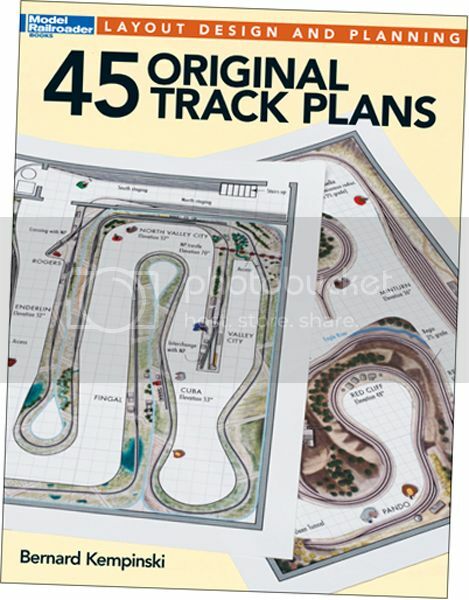 If I have any criticism, it’s of the phrase “track plans” in the title. These are “layout designs” – because they consider everything from the placement of structures and key scenic elements, to the availability of the key locomotives and rolling stock required to bring the finished layout to life. Like many of my readers, I’m a big fan of the work that Lance Mindheim has been doing to encourage hobbyists to build what I call “achievable layouts”. I’ve always been frustrated, though, that Lance’s website and it’s always thought-provoking blog 1) was not searchable and 2) did not support RSS or other means of automatically notifying me when he’d posted a new entry. The RSS feed does not yet appear to be active. But I will post an update as part of this post when it is.